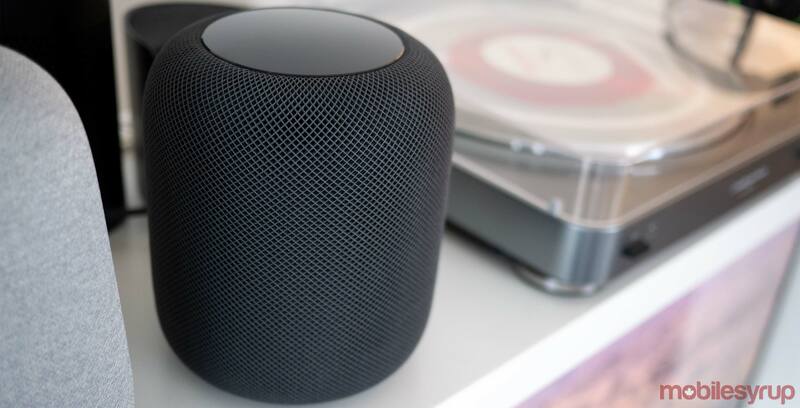 Although Apple’s HomePod has taken a backseat to the company’s other products lately, it seems company plans to add several innovative features to an inevitable HomePod successor. A recently published patent application indicates that a future version of the HomePod could include 3D hand gesture support, Face ID and other new features. The patent, which doesn’t refer to the HomePod by name, describes a voice-controlled smartspeaker that includes sensors, cameras and that can “gather hand gestures and other three-dimensional gesture input.” It’s unclear what these gestures could consist of, but they would likely be familiar movements such as clapping or waving. The patent also goes on to describe other potential HomePod features including an ambient light sensor, icons that indicate the weather and a sports team’s logo appearing related to a specific game you’re tracking. The U.S. Patent and Trademark Office lists the patent as being filed in July 2017, a date that’s actually six months before the launch of the HomePod in the United States. Apple’s smart speaker didn’t make its way to Canada until late May, 2018. MacRumors speculates that the 3D hand gestures discussed in the patent could stem from PrimeSense, a company the tech giant acquired back in 2013. While the HomePod is undeniably one of the priciest offerings in the crowded smart home speaker market, it also offers top-tier audio performance. That said, beyond its superb sound quality, the HomePod doesn’t include many features that are unique. In fact, Amazon’s Echo speakers and Google’s Home devices are arguably more capable than the HomePod.